On 13 June 2016, the Court of Appeal in Sohar upheld the three-year prison sentence against online activist Hassan Al-Basham, which is related to his human rights activities. A fine related to the charge of "insulting the Sultan" was overturned, according to reports received by the Gulf Centre for Human Rights (GCHR). Al-Basham was reportedly already in custody and unconfirmed reports said that he was transferred to the central prison in the Samail province to serve the sentence. He had been arrested on 03 May 2016 after the publication of some of his writings on Facebook and was being held in Liwa Province police station. In the same hearing in February, the court issued several prison sentences against Al-Basham that are required by the Omani Penal Code to be merged. The longest sentence of three years in prison was implemented. He was released on bail of 50 Omani Rials (approximately US$130) pending the outcome of the appeals hearing. Al-Basham is an online activist who with his numerous writings has defended prisoners of conscience. He also carries out other activities on social and humanitarian levels. 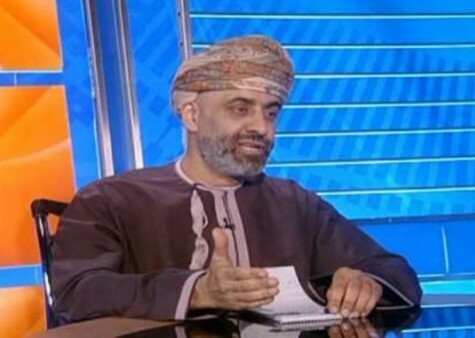 He participated in the 2011 protests during the Arab Spring, which in Oman focused on improving social conditions such as more jobs, as well as combatting corruption. The GCHR expresses serious concern at the three-year sentence upheld against Hassan Al-Basham and fears for his physical and psychological integrity. GCHR believes that he has been targeted as part of an ongoing trend of targeting human rights defenders and online activists in Oman by the ISS which endangers freedom of expression in the country.